Home birth dailythings entertainment fact family fun Girls Guys horoscope Interesting knowledge love recent relationship slider Do You Hold Your Hands? Do You Know What You Body Says? Do You Hold Your Hands? Do You Know What You Body Says? 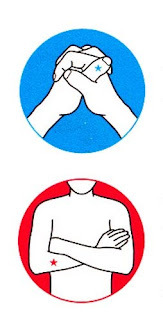 Kindly check for your body language in both step 1 and 2 in the picture above. 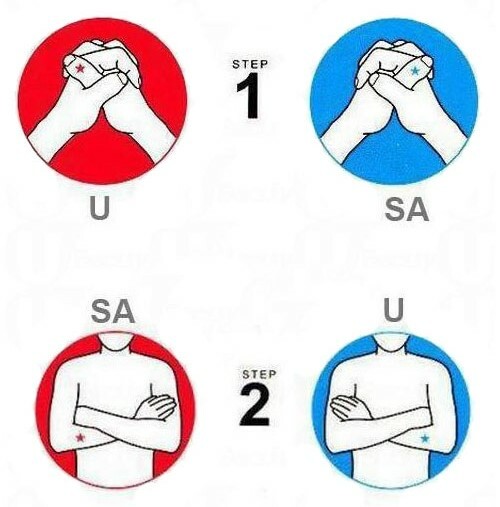 Choose one from step 1 and another from step 2 and keep your combinations "U・SA / U・U / SA・SA / SA・U" in mind and check your answer below. Mind blowing and you will enjoy. You are gentle, compassionate and a good listener. You give people a sense of security, which makes people want to share their stories and feelings with you. You don't really know how to reject people. If someone asks for your help, you will not hesitate to lend a hand. You are quite rational, but once you fall in love, your emotion will take over. YOU tend to be dependent on your lover so its kind of hard for you to move on if you break up. You are charismatic and passionate! Sometimes you will burst out laughing uncontrollably or crying suddenly, which makes people interested in you. You tend to act on your instinct. When you purchase something, you rarely consider whether it's necessary. When you are in love, everyday feels like spring - flowers are blooming. You also tend to act based on your own perspective rather than objectively. You are a bright and capable person. You are reserved and take no nonsense, so it might give other people a sense of distance. However, once you become a friend, they will find you absolutely trustworthy and helpful. However, if you become an enemy, you sure make a tough one! You are calm and observant. You are also a brave and responsible person. In your group of friends, you are kind of like the big brother/sister to your pals. You are good at analyzing and also sensing the atmosphere around you. You can control your emotion very well. You know exactly what you want and are very goal-oriented. You take love seriously and will do your best to keep the flame alive. You are actually a romantic person too! Hope you would enjoy, please share with your friends!